AMD had a bit of a goofup on their hands. Last week this news already reached us yet seemed limited to press members (samples). Apparantly a batch of their cards has received an improper bios disabling a shader cluster on the Radeon 4830 graphics card. Some members of the press have actually published a review with the wrong shader amount (560 Shaders out of 640). Next to that an early batch from HIS technology also seems to have this issue (our review sample was okay by the way). AMD has identified that, in addition to reference samples of the ATI Radeon HD 4830 boards sent to media with a pre-production BIOS potentially impacting the card's performance, a very limited number of ATI Radeon HD 4830 boards were released to market with the same pre-production BIOS. This is in no way hardware related, and an updated BIOS fully resolves the performance limitation. Through consultations with AMD board partners, it has been determined with a high degree of certainty that fewer than 400 ATI Radeon HD 4830 boards from one AMD board partner, HIS, have reached the market with the pre-production BIOS incorrectly provided by AMD. As only a small number of HIS-branded ATI Radeon HD 4830 cards are impacted, we ask any customers that purchased an HIS-branded ATI Radeon HD 4830 to test the board using the GPU-Z utility (available here). If the GPU-Z utility reports fewer than 640 shaders, please visit the HIS website for information on how to update the card BIOS via a downloadable install utility. Recession, financial crisis .. around the globe there's a lot happening. But apparantly it does not effect GPU sales at at all, in fact .. there was a slight increase in overall sales. Jon Peddie Research announced estimated graphics shipments and supplier market share for the third calendar quarter of 2008. GPUs are used in industrial and medical systems, point of sale terminals, kiosks, digital signs, and PCs. More than one GPU is being used in over one third of all PCs being shipped today. In Q3'08 over a 111 million GPUs were shipped. During the same quarter last year, only 91 million GPUs shipped, and 94 million units shipped in the previous quarter. That's an annual increase of 22.5 percent and a quarter-to-quarter increase of almost 18 percent, as shown in Table 1. It's the largest increase in quarter to quarter shipments in six years. Market shares shifted for the big three, AMD, Intel and NVIDIA, and put pressure on the smaller three, Matrix SiS and VIA/S3, and still almost everyone showed an increase in shipments as indicated in Table 2. For desktop GPUs Intel increased its first place position to 43.9% share while Nvidia's position slipped to 32.6% and AMD climbed up to 20.3%. Desktop GPUs saw an increase of 4.7% this quarter to 61.9 million units. if we focus on NVIDIA for a second we see that they had more volume, yet did loose market share to AMD. If you are somehow bothered by a reported widescreen FOV issue recently identified in Far Cry 2. Far Cry 2 is actually a cropped version of the 4:3 video, reminiscent of a similar problem, or design decision, from BioShock. Good news, a fix was created by Racer_S over at Widescreen Gaming Forum, who also created a homebrew fix for similar problems in BioShock. Note: The fix only works with Far Cry 2 v1.00. [QUOTE]AMD has identified that, in addition to reference samples of the ATI Radeon HD 4830 boards sent to media with a pre-production BIOS potentially impacting the card's performance, a very limited number of ATI Radeon HD 4830 boards were released to market with the same pre-production BIOS. This is in no way hardware related, and an updated BIOS fully resolves the performance limitation. The PC version of Grand Theft Auto 4 is due to be released on November 18th and 21st in North America and Europe, respectively. We have the launch trailer to show you today. Again a new driver from NVIDIA was released moments ago, it's as beta though. The drivers have some very cool new options for PhysX, and multi-monitor GPU gaming. Obviously this driver has new Far Cry 2 optimizations harboured in them as well. Also this driver includes the PhysX 8.10.13 System Software. 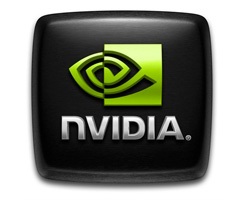 Beta driver for GeForce 200-series, 9-series, and 8800-series desktop GPUs. We have a discussion thread open on these drives right here. An Intresting move from Intel today, everything always starts in their server segment, typically a couple of months later followed by the consumer products. Intel claims it's already shipping more 45nm processors than 65nm ones. Yesterday the chip giant phased out 31 different boxed versions of 65nm dual- and quad-core Xeon processors. Intel expects about 60 percent of the CPUs it manufactures in Q4 2008 will be 45nm. The PCN lists six dual-core Xeon processors with Woodcrest core (5120, 5150, LV5148, 5110, 5130, 5140, 5160) as well as nine quad-core versions with Clovertown core (E5310, E5320, L5320, E5335, L5335, E5345, X5365, X5355) as well as variations of these CPUs for a total of 31 processors being phased out. According to a press release EVGA and now BFG also will start bundling Ubisoft's Far Cry 2 with their GeForce GTX 200 range of graphics cards. BFG will also throw in a 3D Mark advantage key by the way, which apparantly Futuremark can't sell that well. It's bundled everywhere. I'm not a big BenQ fan, but this one looks cool enough for a news post. NEC has unveiled the first display in its MultiSync P Series of LCD monitors, the 22 inch P221W. The new LCD monitor offers 1680 by 1050 pixel native resolution, while presenting 96 percent of the AdobeRGB color gamut for image or video editing that requires color precision. The integrated 10-bit color look-up tables are programmable if corrections are needed. The P221W offers a slightly wider viewing angle of 178 degrees from the S-PVA LCD panel. The relatively long response time of 16ms is a compromise for the wide-gamut of colors, making the device less attractive for gaming use. The reported contrast ratio is 1000:1, with 300cd per square meter brightness. A wide range of adjustments are afforded by the stand, including height, tilt, swivel, and pivot. The P221W will be available in December, with an estimated price of $640. An optional SpectraView color calibration kit will also be available later this year for $375. Looks like they will be doing a prequel, the sands forming into a city is a sign. Apparently, Take-Two wants to release a new BioShock game every two years. That sounds ambitious to me! We also learned the game will be developed by the new 2K Marin Studio, created by BioShock developers last year.The trailer features a smartly dressed Little Sister carrying a Big Daddy toy; and we hear the game will now be set on the Atlantic coast. The fact that this trailer was included in the PlayStation 3 version of the original game would suggest that BioShock 2 is being readied for a multi-platform release. The original was 360 and PC exclusive for over a year. No platforms have been announced for the sequel, which arrives between August and October of 2009, though it is expected to hit PC, PS3 and Xbox 360--the same systems as the narrative-driven underwater original. Yesterday's Far Cry 2 VGA performance article was quite a success and very well appreciated by you guys. The game really is extremely popular. I've done some minor updates to this article. First off, the 9800 GX2 performance is really nasty and we've received some questions about it. We know for sure that the performance will be much beter, yet this is simply a driver issue. We retested with the final Public Beta driver from NVIDIA, and did notice a slightly better performance. Yet it remains rather horrible. Word our in our forums is that dropping AA or go towards the DX9 codepath can solve the issue. Dropping back to the older 178.24 driver might work as well, at the least an acceptable framerate is in sight that way. Check out more info in our forum thread. A second and quite massively requested question was, if it would be possible for us to include the results for the Radeon HD 4870 with 1024MB memory. Our article clearly states that with our opted image quality settings (DX10|4xAA|High IQ), any card with a framebuffer greater than 512MB will have a positive effect in performance, especially at the higher resolutions. So that's a very fair question from you guys. I hunted down that card and just finished the benchmark sessions with it. So the 1024 MB model 4870 card along with the Radeon HD 4830 results are included as well, bringing the VGA charts towards a massive 18 tested graphics cards. ** Update: At request added GeForce GTX 260 SLI results as well.